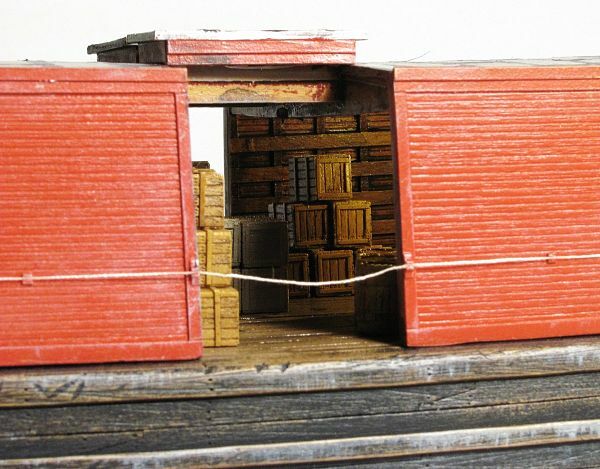 This kit represents a covered wooden barge seen extensively throughout New York Harbor and many other northeastern waterways from the turn of the century through the 1950's. 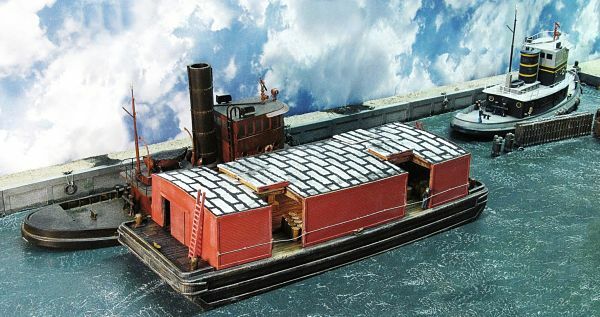 They were basically a floating warehouse that could be towed or pushed out to a ship. 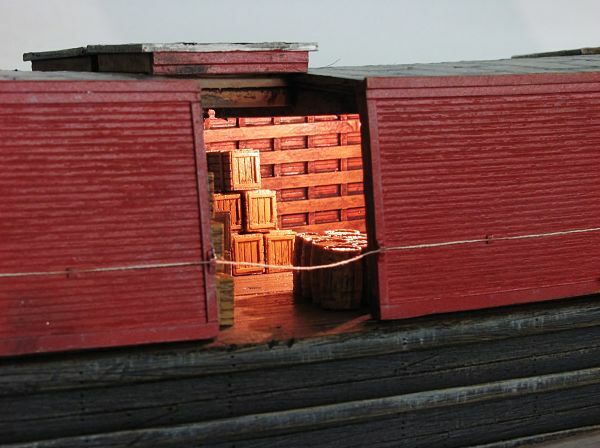 Once alongside the ship, the roof hatches and side doors would be opened and cargo could be lowered by the ship's boom down into the barge. 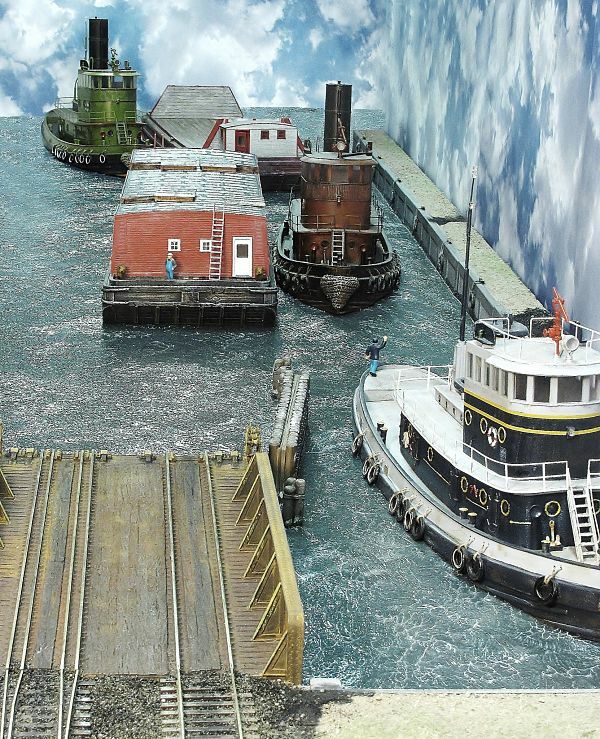 Once loaded the barge would be taken back to shore to be unloaded into warehouses and the cargo dispersed to its destination by truck or rail. 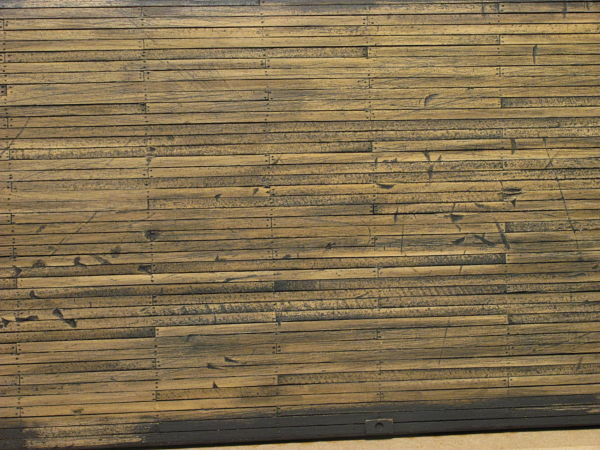 These covered wooden barges included a captain's cabin for a live aboard captain and sometimes even his family. 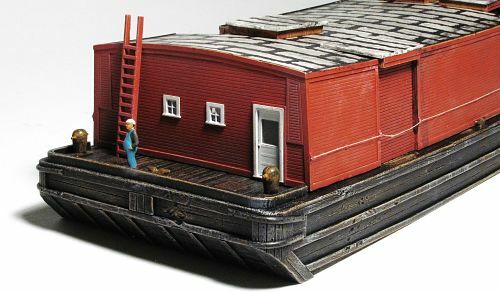 These captain's cabins were located at one end of the barge and were either constructed as an add on "bumped out" structure or built into one end of the barge. 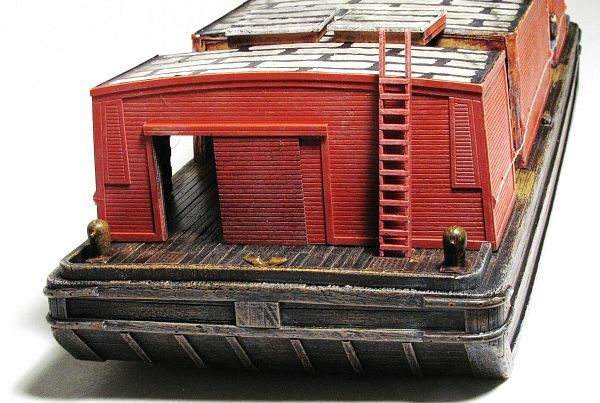 Our kit represents a barge with the captain's cabin built into the end. 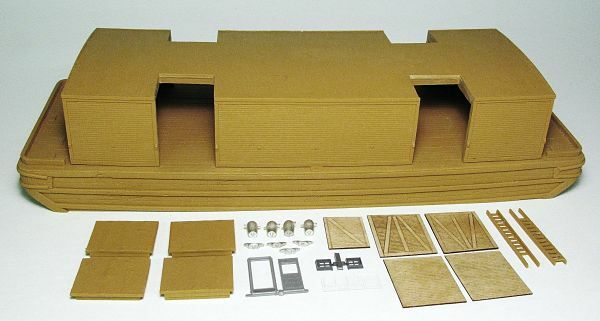 This kit contains a one piece cast resin hull (hollow on the underside), a one piece cast resin cover which includes cast in place interior wall and ceiling details, 4 cast resin hatch covers, 2 cast resin ladders, 4 lead-free pewter cleats and 4 lead-free pewter bollards, 5 laser cut doors, Grandt Line door and window castings and laser cut window glazing material. 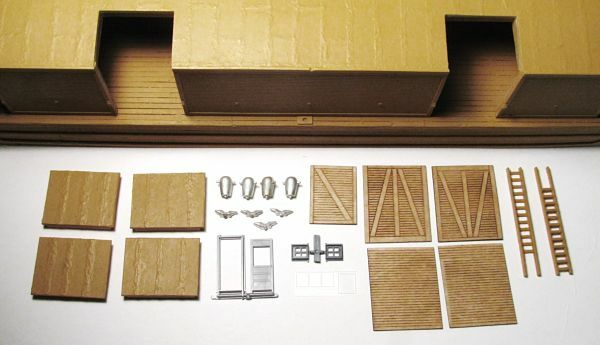 All parts have extensive detailing and character cast in place. 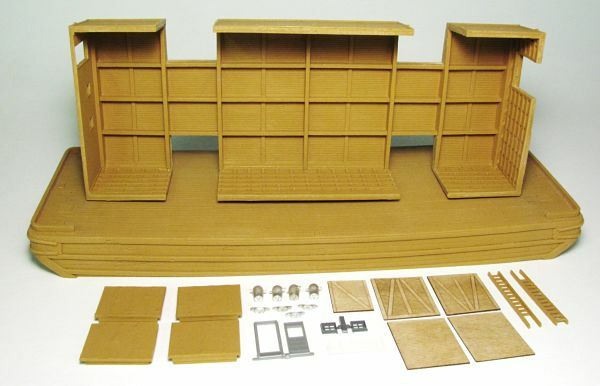 This beautiful kit builds up quickly (typically in just a few evening's time) giving you a great centerpiece for a foreground scene you'll be proud to display. 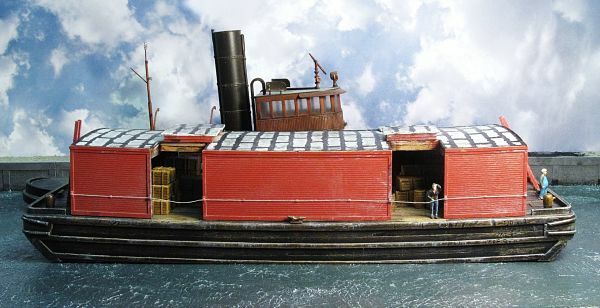 Actual dimensions of the barge are approximately 12 ½” long and 4 ¼” wide and 1 ¼” tall at the bow and stern.